From Siena train station you can reach the Residenza Borghesi only by taxi (cost about € .10,00) because there is no direct public service to the structure. From Florence “Peretola” you can reach Palazzo Borghesi by private transfer or rental car. From South: A1 motorway towards Florence, exit “Valdichiana / Bettolle / Sinalunga”, take the Siena-Bettolle. 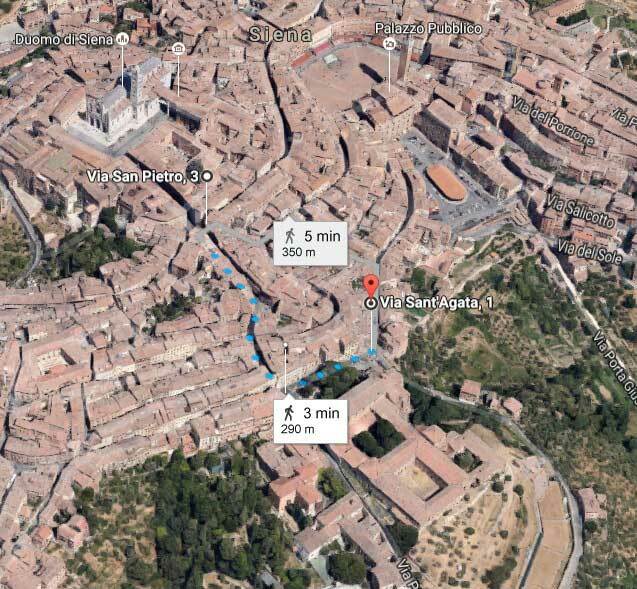 Exit at Siena Ovest and follow the signs to the Duomo. From the North: from the A1 towards Rome, exit “Firenze Impruneta”, take the Florence-Siena junction. Exit at Siena Ovest and follow the signs to the Duomo. The property is located in the limited traffic area, where you can access for a maximum time of 60 minutes only for the unloading / loading of luggage, then communicating to the reception the license plate of your car. It’s possible to book a private transfer with or without driver with hire luxury cars. When booking, inserting the “Private transfer or rent a car” option you will be given the contact information for your Personal Assistant. Rental cars can be delivered and collected in any city, regardless of the day of arrival or departure Palazzo Borghesi. For guests who prefer to travel in comfort is provided in the delivery of the car taken directly from Palazzo Borghesi by car valet, and its return on call by an employee. This service offers refined comfort in the journey together from assistance to the customer’s vehicle, at a daily cost of € 25. The car will be shown every time you need it, at no additional charge. 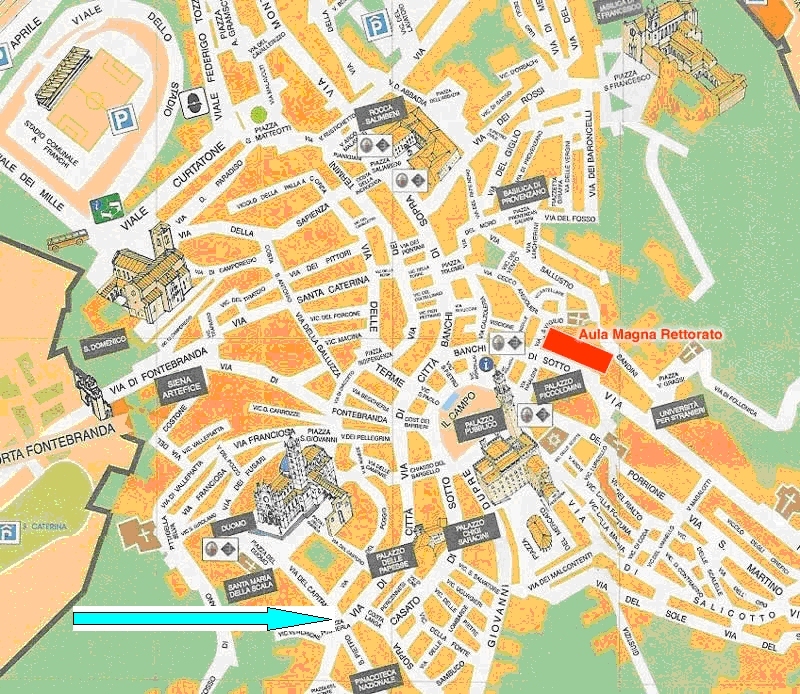 Palazzo Borghesi, in the heart of the historical center, is located in a restricted traffic area. Guests can access the ZTL for loading and unloading of luggages for up to 30 minutes. Our staff will take care of the car registration Authority to control transmission.